Happy Labor Day, but can I also say Happy Fall? 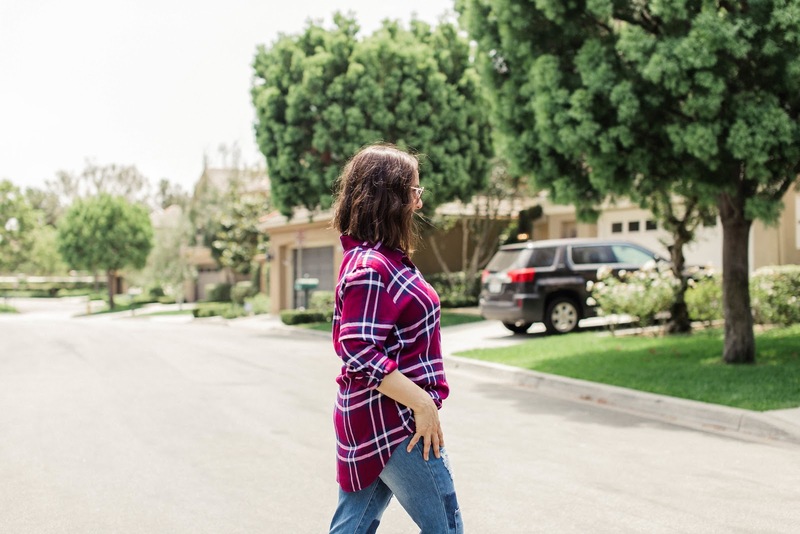 And what a perfect way to celebrate the start of fall (even though it's 100 degrees outside) then with the perfect plaid shirt. How cute is this shirt? I picked it up from the Nordstrom sale and I've been in love ever since. It is so comfy and will be perfect on a cool fall day. And can we talk about these cute jeans? They are from Factory Fashion. 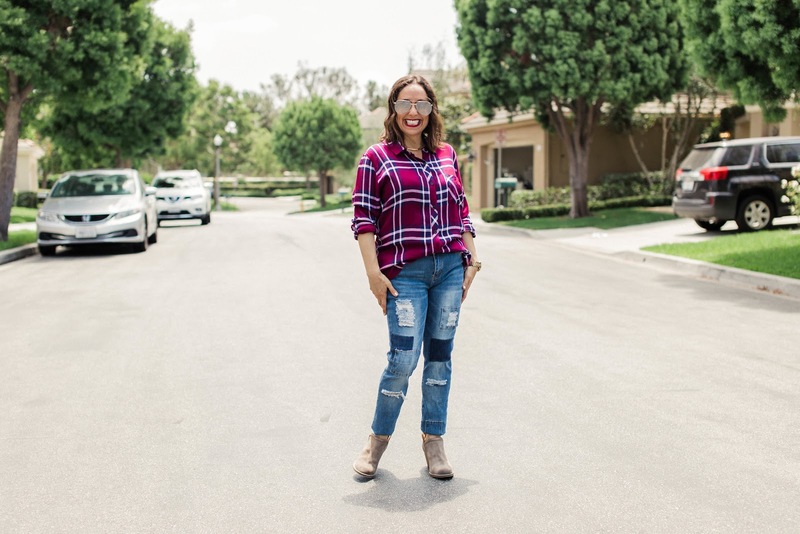 This online site has such a great selection of on trend jeans in so many different styles-- skinnies, wide leg, embroidered and the list goes on and on. I love the details on these skinnies. I added these taupe booties, some gold jewelry and my sunnies and I'm ready for Fall to start. What do you think about plaid? Let me know. Thanks to Gabi Wells for photos. You can shop this look by clicking on the links above. Happy Reading!!! !